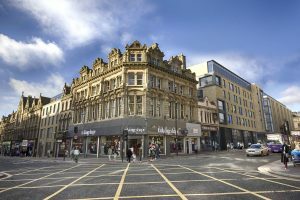 In 2014, McAleer & Rushe appointed Swift Architects to redesign the entire Newgate Centre development as the initial scheme did not progress due to the recession & the consequent changing market. 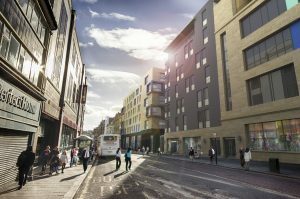 The newly proposed scheme includes 600 student bedrooms designed for Unite & a 130 bed 4* hotel for the Maldron Group. 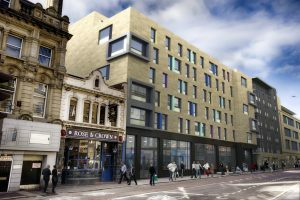 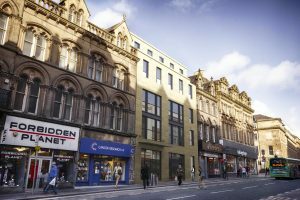 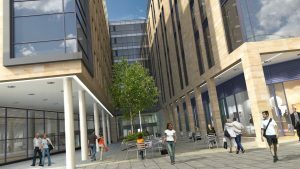 The student element of the scheme is accessed from Grainger Street and the hotel from Newgate Street with significant areas of retail space fronting onto Newgate Street too. 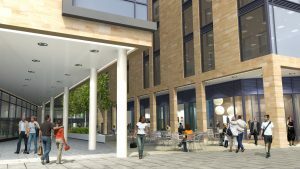 The scheme received planning approval in December 2015 & started on site in the Summer of 2015 with completion due September 2018.